Transfected 293T cell lysate; Human endometrium tissue; HeLa cells. Our Abpromise guarantee covers the use of ab168454 in the following tested applications. WB Use a concentration of 1 µg/ml. Detects a band of approximately 32 kDa. 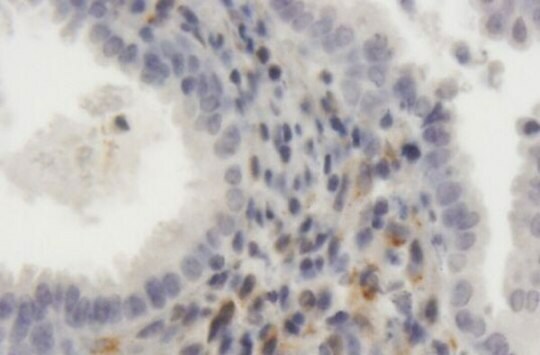 IHC-P Use a concentration of 3 µg/ml. Perform heat mediated antigen retrieval with citrate buffer pH 6 before commencing with IHC staining protocol. Endocytic receptor involved in endocytosis and in phagocytosis of apoptotic cells. Required for early embryonic development. Involved in cellular lipid homeostasis. Involved in the plasma clearance of chylomicron remnants and activated LRPAP1 (alpha 2-macroglobulin), as well as the local metabolism of complexes between plasminogen activators and their endogenous inhibitors. May modulate cellular events, such as APP metabolism, kinase-dependent intracellular signaling, neuronal calcium signaling as well as neurotransmission. Functions as a receptor for Pseudomonas aeruginosa exotoxin A. Most abundant in liver, brain and lung. Belongs to the LDLR family. Contains 31 LDL-receptor class A domains. Contains 34 LDL-receptor class B repeats. Cleaved into a 85 kDa membrane-spanning subunit (LRP-85) and a 515 kDa large extracellular domain (LRP-515) that remains non-covalently associated. Gamma-secretase-dependent cleavage of LRP-85 releases the intracellular domain from the membrane. Phosphorylated on serine and threonine residues. Phosphorylated on tyrosine residues upon stimulation with PDGF. Tyrosine phosphorylation promotes interaction with SHC1. Cytoplasm. Nucleus. After cleavage, the intracellular domain (LRPICD) is detected both in the cytoplasm and in the nucleus and Cell membrane. Membrane, coated pit. 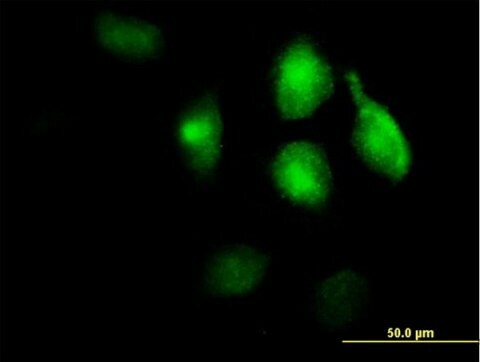 Immunocytochemistry/Immunofluorescence analysis of HeLa cells labeling LRP1 with ab168454 at 10µg/ml. 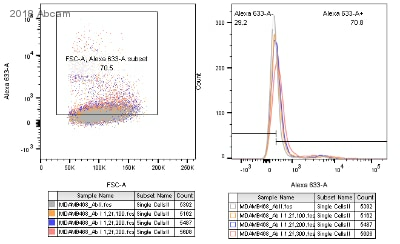 Immunohistochemistry analysis of Formalin-fixed, paraffin-embedded Human endometrium tissue labeling LRP1 with ab168454 at 3µg/ml. ab168454 has not yet been referenced specifically in any publications.